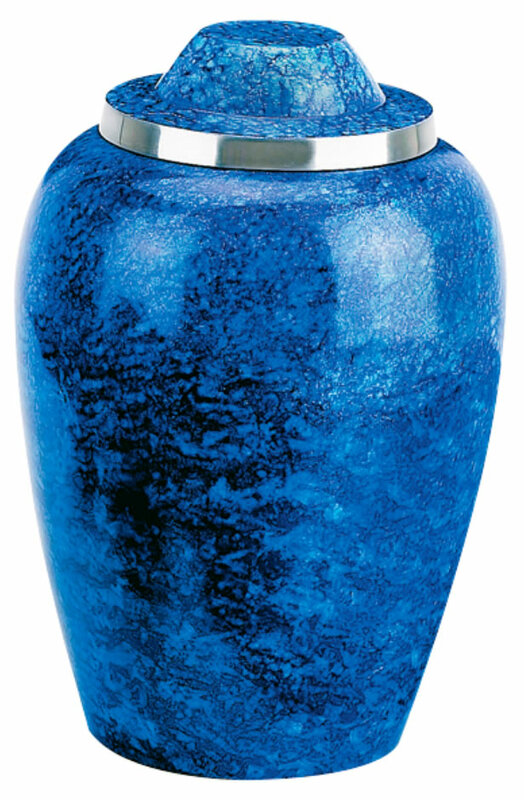 The Cobalt Blue Metal Urn is made of a quality metal alloy and hand-painted finish using the sponge technique, blending several shades of blue. 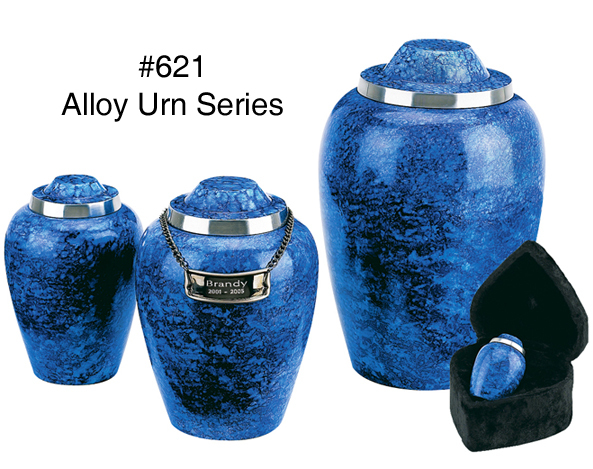 Urns have a polyurethane protective finish and felt base. The medium and small size urns are perfect for the family that wants to share cremains. They are also a great size for infants and small children. A velvet urn pouch is included with the small, medium, and large sizes. The keepsake comes in a heart-shaped velvet box. The urns can be personalized by purchasing the coordinating Medallion Name Plate. The large nameplate is for the large and medium sized urns. The small nameplate is for the small 6" urn. There is no nameplate for the keepsake. The large plate measures 3 1/5" x 1 1/4". Please limit engraving to two lines with 26 characters/spaces on the first line and 39 characters/spaces on the second line. The small plate measure 2 1/5" x 7/8" and is designed for smaller urns. Please limit engraving to two lines with no more than 20 characters/spaces on the first line and 24 characters/spaces on the second line.